Nippon News took images of popular tourist destinations in Japan back in 2000. We were able to match one of them very closely to an image from AFP - Getty Images from yesterday. It's a stark example of what has been lost in the three-pronged disaster that is happening in Japan. 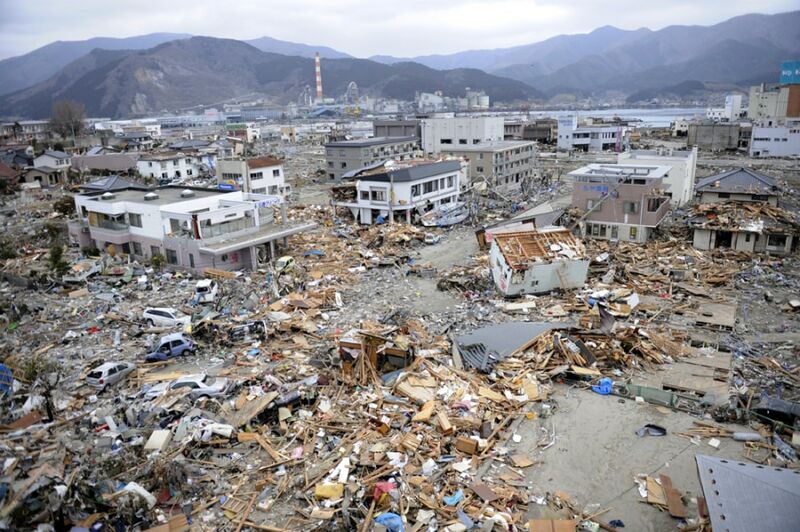 Debris left from the tsunami covers an area of the devastated city of Ofunato, Iwate prefecture on March 15, 2011 as the country struggles to cope following the March 11 earthquake and tsunami disasters. Japan's government on March 15 urged people against panic-buying of food and supplies, as the country grapples with a massive natural disaster and resulting nuclear crisis. A archival photo shows Ofunato City, Iwate Prefecture, Japan taken in November 01, 2000. 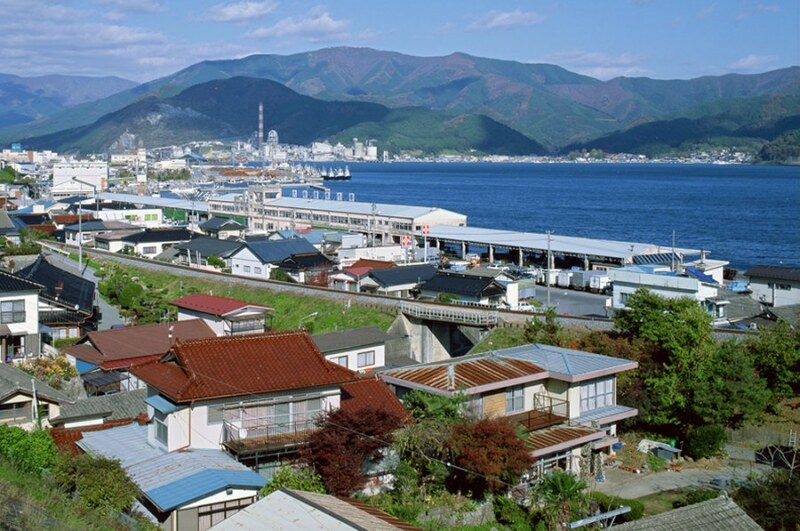 Ofunato City was renowned for its natural beauty but devasted by the massive magnitude 9.0 earthquake and subsequent tsunami that struck the eastern coast of Japan on Friday March 11.